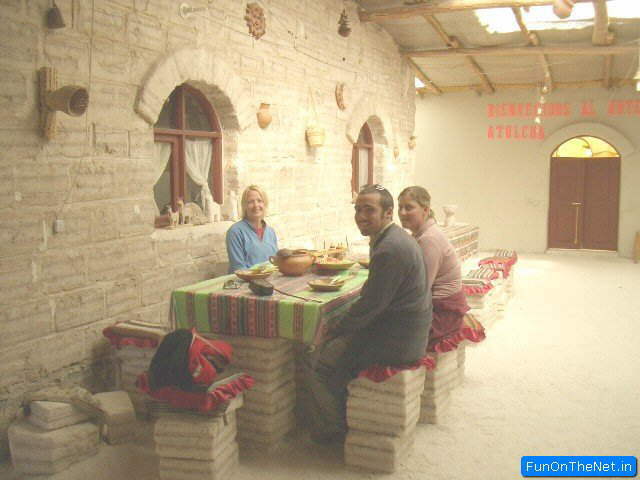 In the dining room of the Hotel de Sal Playa in Bolivia, the salt is always on the table. 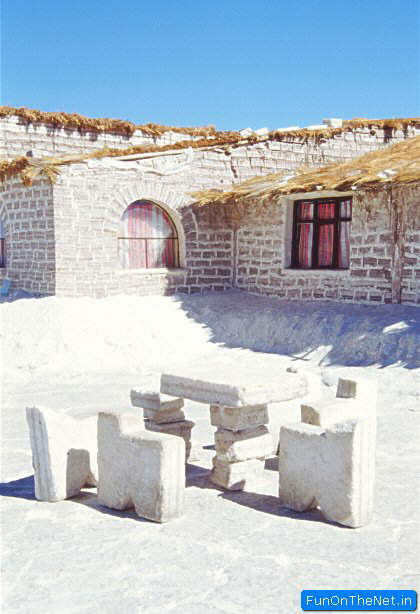 In fact, at the world's only hotel made of salt, the salt is the table. 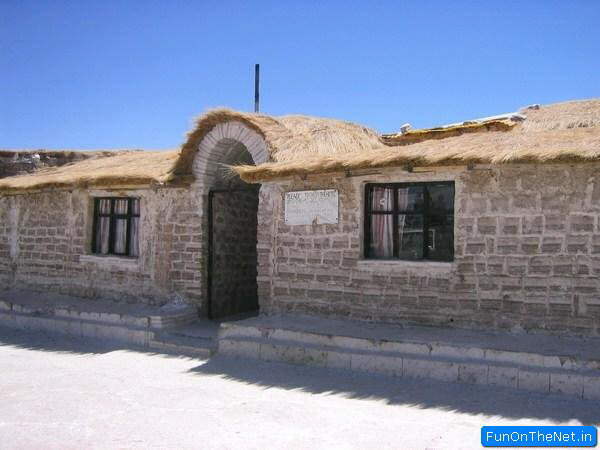 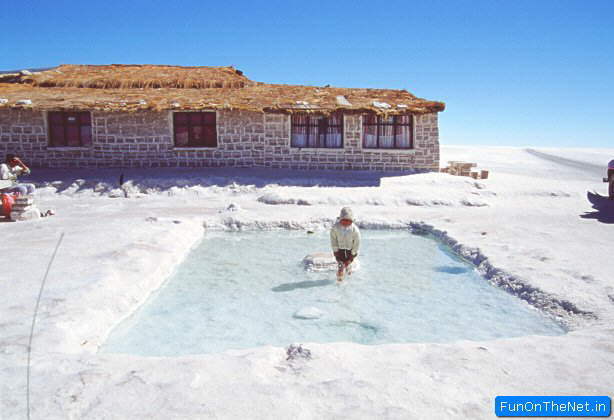 Located near the famous Uyuni salt mine in the southwestern part of the country, Hotel de Sal Playa's roof, and bar are built of salt. 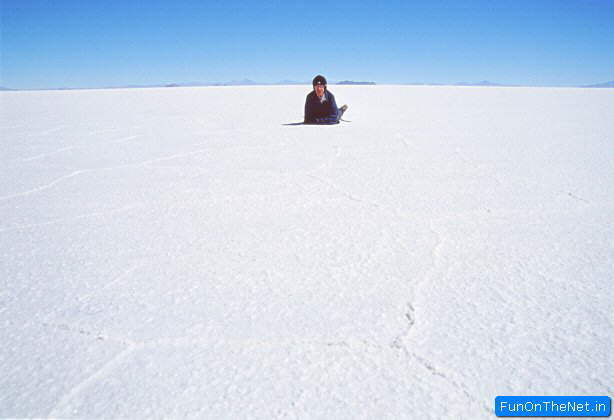 Even the floor is covered with salt granules. 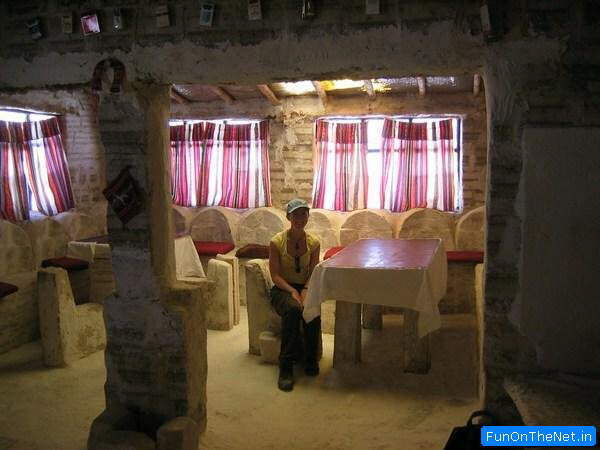 The hotel was built in 1993 by a salt artisan who saw a mint in the number of tourists looking for places to stay while visiting the nearby mine, which is one of the world's largest of its kind. The lodge has 15 bedrooms, a dining room, a living room and a bar. 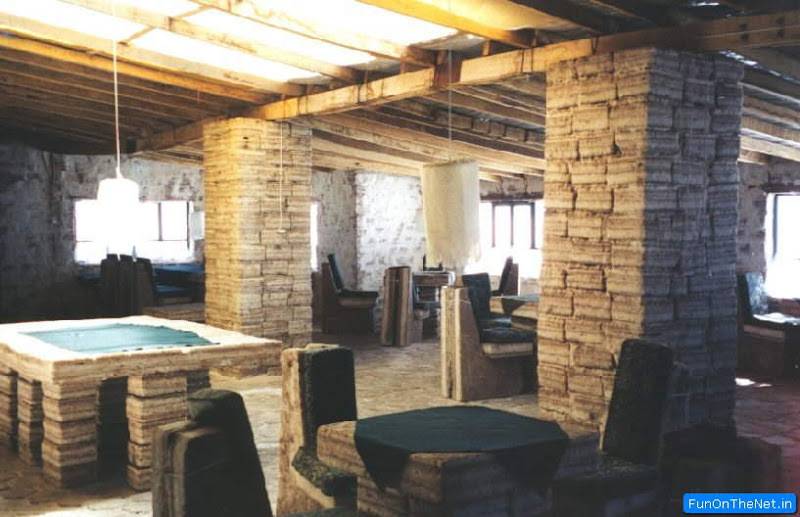 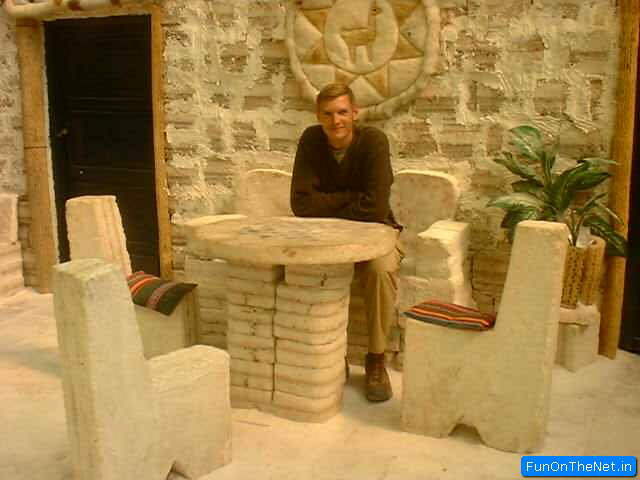 The hotel walls are made of salt blocks stuck together with a cement-like substance made of salt and water. 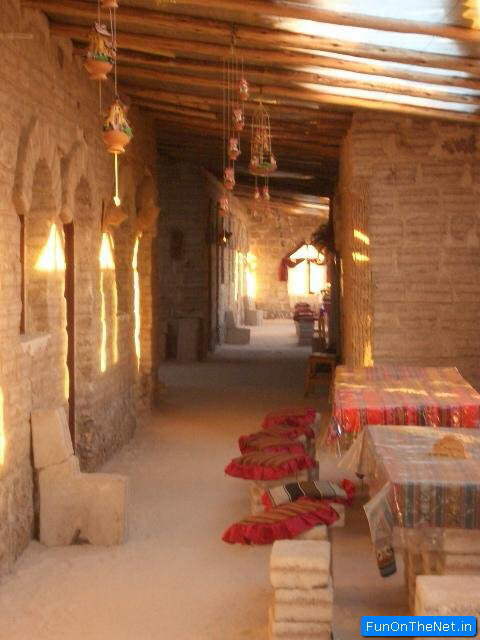 During rainy seasons, the walls are strengthened with new blocks, while the owners ask the guests to avoid licking the walls to prevent deterioration.